When Manu comes to America to visit there are a few things that he must have: chips & salsa, light beer, hot dogs, eggs & bacon and “bretzels.” He still has yet to learn that they start with a “p,” but baby steps people. 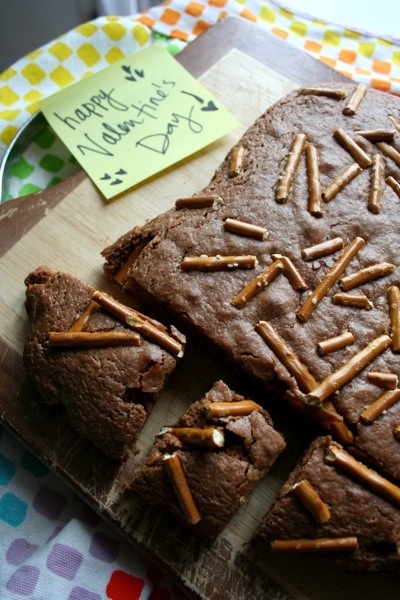 We always talk about how much we dislike Valentine’s Day - how you should show your love every day, not just one day of the year, so I decided to make him an early present combining two of his favorite things: brownies and pretzels. 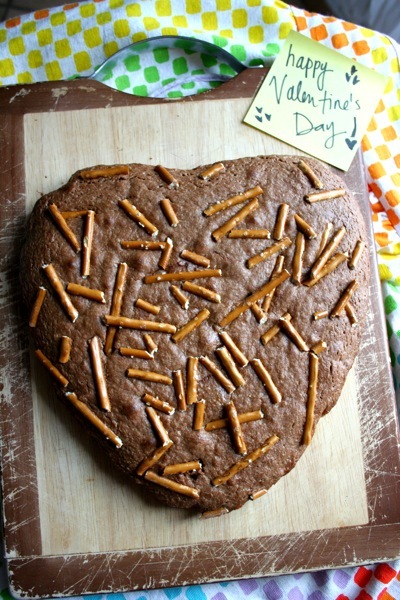 I put the batter into this adorable heart shaped pan his mom gave me, and sprinkled the sticks on top. His reaction when he came home was priceless. Preheat oven to 325°F. Lightly butter 13x9x2-inch metal baking pan. Melt butter and chocolate in heavy medium saucepan over low heat, stirring until chocolate mixture is smooth. Cool. Using electric mixer, beat eggs and sugar in large bowl until light and fluffy. Beat in chocolate mixture, vanilla and salt. Add flour; beat just until blended. 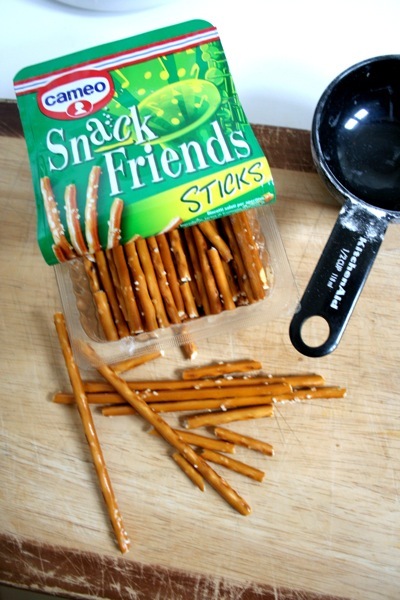 Pour batter into prepared pan, smoothing top. 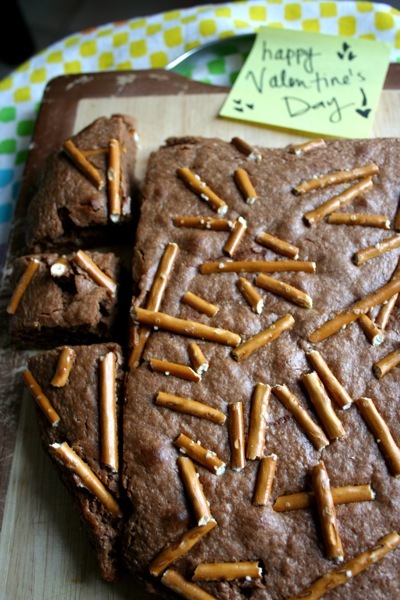 Sprinkle top with pretzels. Bake until tester inserted into center comes out with crumbs attached, about 35 minutes. Transfer pan to rack; cool completely. Happy (early) Valentine's Day, friends! I cannot express my thanks to you enough for your continuing support of the boot, it truly warms my heart!